Contrary to earlier reports, the live-action adaptation of Akira is anything but dead. Back in May, it looked like the live-action Hollywood remake of Akira was dead in the water. Keanu Reeves had just turned it down. Warner Bros. had reportedly shut down the visual effects group working on it, which meant that almost nobody was working on the project anymore. Well, it turns out this isn't actually the case: Warner Bros. is reportedly moving ahead with the project, with a new director and a revised budget. ...the filmmaker has become highly in demand for his signature directing style of not blowing a bunch of money, and his economically agreeable vision could be just what the project needs to become what is now being pitched as "a tentpole with a mid-level budget along the lines of Clash Of The Titans," a phrase that should be read in monotone and preceded by a resigned sigh. 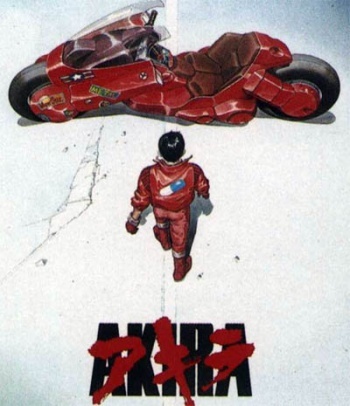 The original plan for Akira was reportedly to make a two-movie epic, now it sounds like Warner Bros. want another soulless action piece that will bear nothing in common with its source material other than a couple of characters with the same names. Oh, and it will probably be widely-reviled by fans of the anime, but will make a slew of cash thanks to a brilliant marketing campaign.